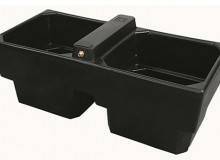 Our 12 gallon (53L) single reservoir trough is particularly suited for young calves. 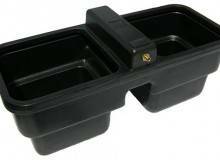 They are extremely strong and durable and can be positioned in pasture or the shed/stable. 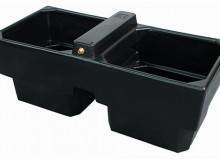 The 22 gallon (100L) double reservoir water trough can be positioned between two zoned areas thereby maximising use. 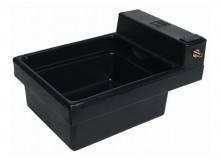 The 22 gallon (100L) corner water trough is particularly suited for small spaces in the corner of the pasture or the shed/stable. 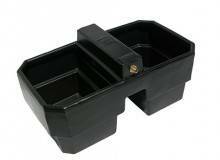 The 30 gallon (136L) double reservoir water trough can be positioned between two zoned areas thereby maximising use. 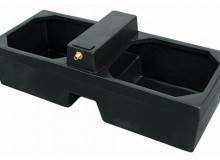 The 62 gallon (282L) double reservoir water trough can be positioned between two zoned areas thereby maximising use. 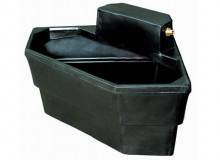 The 90 gallon (400L) double reservoir water trough can be positioned between two zoned areas thereby maximising use.